Sister Mary Kenneth Keller (born in Ohio 1914 – the 10th of January 1985) was the first woman in the United States to obtain a PhD in Computer Science on the Inductive Interference on models generated by the computer, at the University of Wisconsin-Madison. Mary Kenneth Keller, who was also a nun, contributed to the development of BASIC, a programming language widely spread in the first ages of the information technology. Sister Mary Kenneth joined the Sister of Charity Congregation in 1932, continuing to study at the DePaul University, where she received a bachelor in mathematics, and a master degree in mathematics and physics. In 1958, Mary Kenneth Keller started to work at the Informatics Centre of Dartmouth College, an institution where, at the respective moment, only worked men, where she participated at development of the BASIC programming language. In 1965, after obtaining her diploma of doctor in informatics, Mary Kenneth Keller founded the Informatics Department at the Clarke College in Iowa, which she led for 20 years. The Clark College owns now the Clark Computer Centre, which comes to help the students, the members of the faculty, and the staff. Sister Mary Kenneth Keller wrote 4 books of informatics, and was known as an extremely important figure during her time. 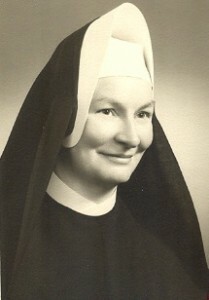 Sister Mary Kenneth Keller died in 1985, leaving behind a successful heritage, being a supporter for women’s implication in informatics, and contributing to the formation of the Association of Small Computer Users in Education (ASCUE). Clark College offers in her honour the Mary Kenneth Computer Science Scholarship of 500 dollars.